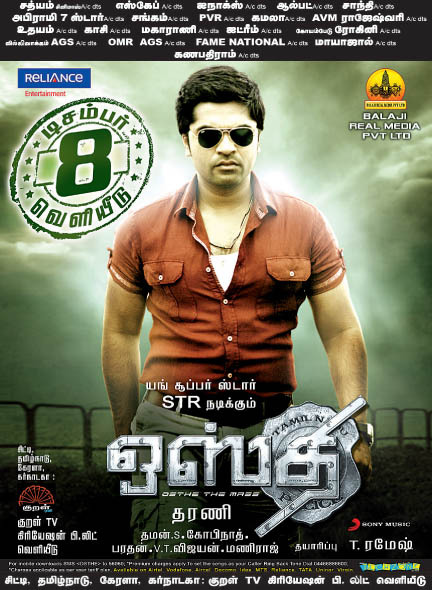 Simbu Osthi Movie Release Date confirmed on Dec 8th. Simbu, Githan Ramesh, Richa Gangopadhyay, Sonu Sood, Saranya Mohan, Santhanam in lead roles. Directed by S. Dharani and Produced by Mohan Apparao, T. Ramesh under Balaji Real Media banner. Music by S. Thaman.